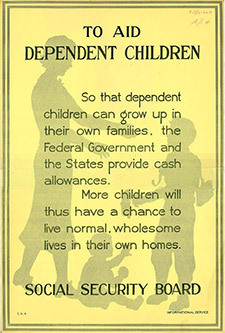 Authorized in 1996, TANF replaced the Aid to Dependent Children (ADC) program, commonly known as welfare. Under TANF, the federal government provided block grants to states to operate their own programs. TANF stresses moving recipients from welfare to work. States must impose a five year time limit on cash welfare receipts to guarantee that recipients are working or actively looking for work. 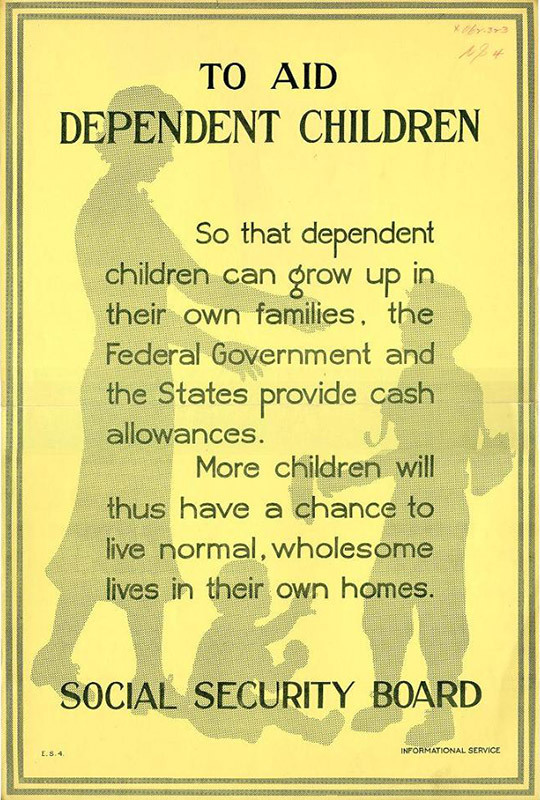 TANF is based on the idea that mothers who are willing to work should not need more than “temporary” help. Never conceived as a response to high unemployment, TANF benefits do not raise a family’s income above 50% of the poverty level. Women who are heads of households represent the overwhelming number of eligible recipients. Fewer than half of eligible families participate in the program. TANF’s declining significance in the safety net framework results from its block grant structure and its work participation rates. Critics associate decreasing marriage rates among low-income recipients as a result of TANF’s support for women heads of households, suggesting that the program reinforces a culture of poverty. Currently overdue for reauthorization, TANF can be improved by increasing federal funding levels, better targeting federal and state funds, improving the work program and encouraging states to better serve families with the most significant employment needs. The Supplemental Nutrition Assistance Program (SNAP), formerly known as the Food Stamp program, provides financial assistance for purchasing food to low and no income people living in the U.S. The U.S. Department of Agriculture administers the program although benefits are distributed by individual states. They can be used to purchase any prepackaged edible food, regardless of nutritional value. Eligibility for benefits is based on a household’s gross monthly income, net income, and assets. Workers on strike, undocumented immigrants and certain legal immigrants are ineligible for food stamps. SNAP has provided food to families in need during periods of high unemployment, often serving as an outlet for surplus food. Providing access to nutritious food for young children illustrates one vital role. Critics, however, cite the rise in obesity and complain about the freedom to use food stamps for any food, including foods with mostly “empty” calories. In the 2012 fiscal year, $74.6 billion in food assistance was distributed. 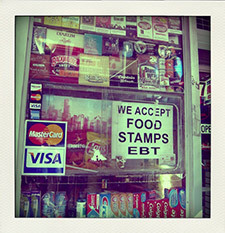 As of September 2012, 47.7 million Americans were receiving on average $134.29 per month in food assistance. During the Great Recession of 2008 and beyond, food stamps have helped middle income families dealing with extended job loss continue to feed their families, representing a little known support in times of great need. A Federal Pell Grant, unlike a loan, does not have to be repaid. Federal Pell Grants usually are awarded only to undergraduate students in accredited colleges who have not earned a bachelor’s or a professional degree. Amounts can change yearly. 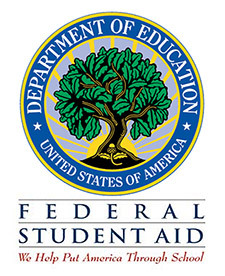 The maximum Federal Pell Grant award is $5,550 for the 2012–13 award year (July 1, 2012 to June 30, 2013). The amount applicants receive, though, will depend on financial need, cost of attendance, status as a full-time or part-time student, and plans to attend school for a full academic year or less. Discretionary funding supports the first $4860 of the grant with the remainder coming from mandatory funding. The Congressional Budget Office (CBO) predicts an $8 billion shortfall in 2014 with a $58 billion shortfall through 2022. These grants have been life boats to families trying to encourage and sustain members who seek a college education. The federal loan program’s ultimate goal is to make college more accessible, thus giving millions of Americans a chance at higher education and a more productive life. 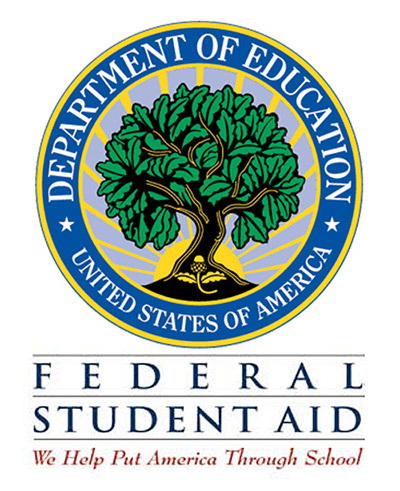 To make college more affordable for lower-income and middle-class families, the federal government provided subsidized loans through two programs: the Federal Family Education Loan (FFEL) program and the William D. Ford Federal Direct Loan (DL) program. The Office of Management and Budget, the Government Accountability Office, and Congressional Budget Office concluded that the DL program is more efficient from the perspective of taxpayers because it provides essentially the same loans at lower taxpayer cost than bank loans through FFEL. Since the Affordable Care Act was enacted, the federal government abandoned the FFEL program. 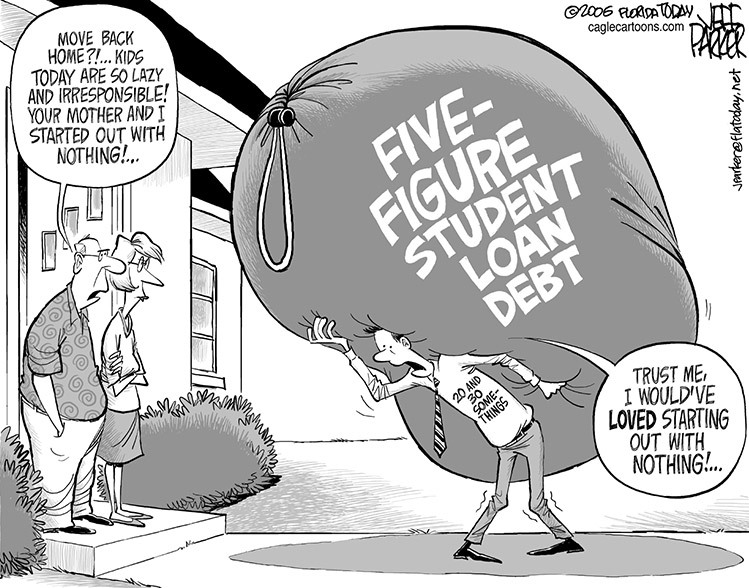 However, millions of college students now have crushing debt which threatens their current livelihood. 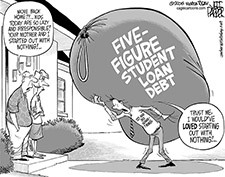 Student debt is approaching $1 trillion and is second largest after mortgage debt. Nearly one in every six borrowers with a loan balance is in default. The amount of defaulted loans—about 76 billion—is believed to be greater than the combined annual tuition of two and four year public colleges. Although there are flexible payment plans to keep borrowers from defaulting, few borrowers are aware of them. The federal government—which until recently paid banks generous subsidies to provide a large share of taxpayer-subsidized student loans under the FFEL program—will instead provide all such loans directly. This change would generate more than $60 billion in savings between 2010 and 2020, much of which would go to protecting and expanding Pell Grants to help low- and moderate-income students afford college.